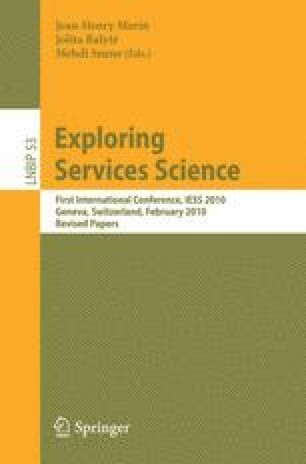 This paper introduces our ontology-based approach for developing sustainable services. After studying the current trends in technology and economy, we underline the importance of the services semantics and the role of ontological domain knowledge in creating intelligent services. We propose to put them into the core of the services information kernel, which capitalizes the knowledge indispensable for defining and creating services. To do this, we develop an approach for creating services based on their information kernel that guarantees their functionality, semantic coherence and sustainability. Finally, we discuss the conceptual methodology of its implementation as a cross-pollination space. The paper is concluded with the perspectives of the ongoing work and the priorities of our future research.